June 2017 saw Bermuda come alive as the 35th America's Cup and accompanying America's Cup Superyacht Regatta brought some of the world's fastest racing boats to this tiny island. The America's Cup Superyacht Regatta drew an impressive fleet with Highland Fling 15, Action _and _Bequia winning in their respective classes and Lionheart triumphing overall. 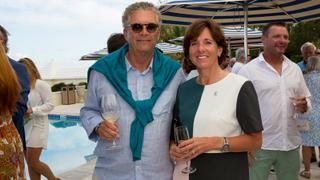 Back on shore, meanwhile, there was plenty of excitement and celebration to be had as owners and guests were treated to a Welcome Reception in association with the Bermuda Tourism Authority, Owners' Beach Club Dinner at Tucker's Point in association with Feadship and End of Regatta Party in association with the Bermuda Business Development Agency. 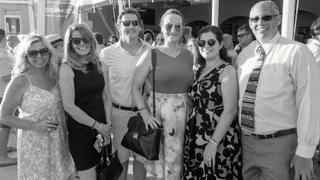 Boat International Media would also like to thank our sponsors Rego Sotheby's International Realty, Caroline Bay Marina, Insetta Boatworks, Coast New Zealand and Puiforcat for making this event possible and the Royal Bermuda Yacht Club for their collaboration. June 2017 saw Bermuda come alive as the 35th America's Cup and accompanying America's Cup Superyacht Regatta brought some of the world's fastest racing boats to this tiny island. The America's Cup Superyacht Regatta drew an impressive fleet with Highland Fling 15, Action _and _Bequia winning in their respective classes and Lionheart triumphing overall. 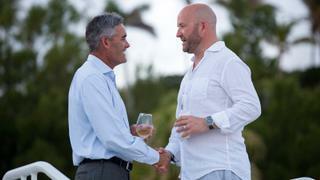 Back on shore, meanwhile, there was plenty of excitement and celebration to be had as owners and guests were treated to a Welcome Reception in association with the Bermuda Tourism Authority, Owners' Beach Club Dinner at Tucker's Point in association with Feadship and End of Regatta Party in association with the Bermuda Business Development Agency. Boat International Media would also like to thank our sponsors Rego Sotheby's International Realty, Caroline Bay Marina, Insetta Boatworks, Coast New Zealand and Puiforcat for making this event possible and the Royal Bermuda Yacht Club for their collaboration. 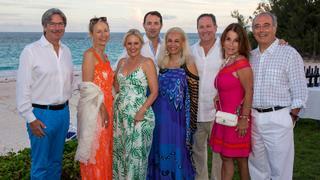 From left to right: Sandra Christensen, Rosemary Jones, Seamus MacLoughlin, Nicole Conrad Morrison, Yvonne DeCosta and Ross Webber. The owner and guests of Maltese Falcon unwind after some thrilling racing on board the famous vessel. 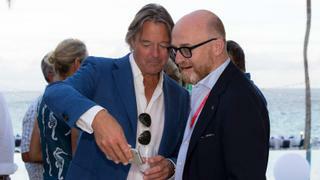 America's Cup Event Authority CEO Sir Russell Coutts and Boat International Media's Darrell McLennan Fordyce. 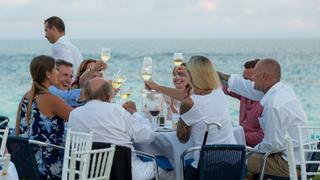 Guests toast another fantastic regatta during the Owners' Beach Club Dinner. Louise Morton of the J Class Association and guest. Mike Slade, owner of Leopard 3, with guests. 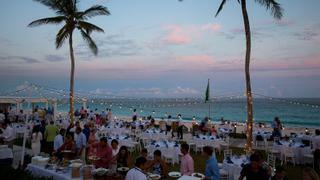 Guests admire a display of Bremont watches during the Owners' Beach Club Dinner. 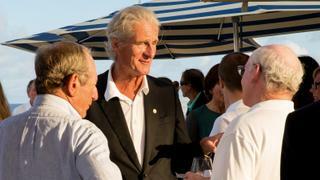 Arthur van Berge Henegouwen of the Royal Van Lent Shipyard and Tom De Vries. 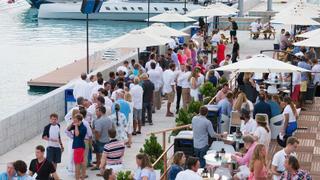 Guests gather around the spectacular line-up of yachts for the End of Regatta party on the final day of the America's Cup Superyacht Regatta. 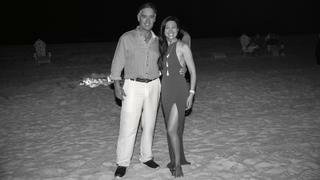 Buddy Rego and Penny MacIntyre of Rego Sotheby's International Realty.